These stickers are a great way to add a personalized touch to your greetings. 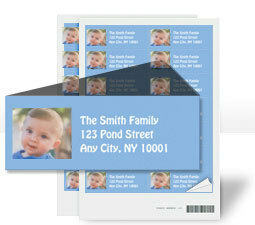 Select one photo for the entire sticker or customize with designer layouts and themes. Each address label sticker measures approximately 1" x 2.65"